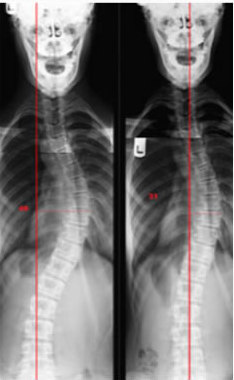 Kaylee is a 14.4 year old female Risser IV with a primary thoracic scoliosis and right body shift of 2 inches. 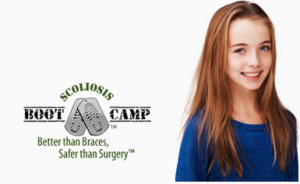 Initial response to 2 week BootCamp resulted in a 37% reduction of her scoliosis from 49º to 31º. She was prescribed daily home exercises consisting of a TorsoTrainer™ and a vestibular disc to ensure new muscle memory will be achieved. She will be evaluated in 3 months to determine the effectiveness of home care.